This Awesome Game Look Like Gta San Andreas. And It's Very Easy To Control When Driving and Shooting. 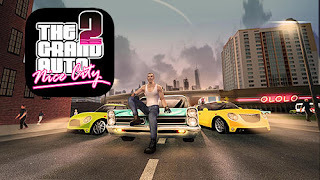 And The Game Has Alot Of Missions Like Gta San Andreas and Crime City.This Game has Many Features That You Will Really Enjoy. The grand auto 2 - commit daring robberies, participate in cruel fire exchange, steal fast cars and escape from police chase. Become a king of the criminal world in this dynamic Android game. Get money by all possible means, without taking law into account. Gather your own gang but beware of betrayal and backstabs. 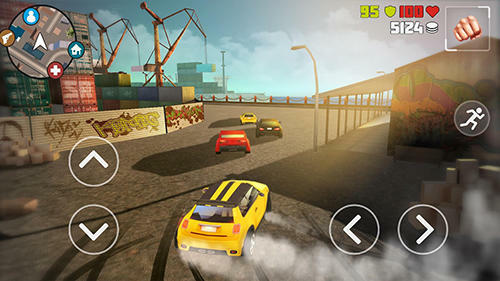 Become the best car thief and rush in a sports car along the city streets. Fight against competing gangs and police. Buy various weapons and useful upgrades.